You know how I was going on and on about how fun it was to bowl, play board games and drink cocktail punches at the Spare Room in Hollywood? Well, now’s your chance to give it a try. I’m hosting a benefit with SR’s Aidan Demarest there next Thursday, May 26th from 6 to 9pm for Share Our Strength’s Taste of the Nation, which works to end childhood hunger in America. It’s going to be a fun night at the stylish Hollywood bowling alley/bar where you can compete in either a bowling tournament or Connect Four tournament for a chance at some awesome prizes like a night’s stay at the Hollywood Roosevelt, a pair of tickets to the June 12th Taste of the Nation food festival, an hour of bowling at SR, and more. Bowlers, $50: cocktail punches, appetizers, one hour of bowling and chance to win bowler’s grand prize — a night’s stay at Hollywood Roosevelt and a pair of tickets to Taste of the Nation LA — A great deal since it’s normally $100 for an hour of bowling at SR! Gamers, $25: cocktail punches, appetizers, entry fee for Connect Four game tournament and chance to win the gamer’s grand prize — a pair of tickets to Taste of the Nation LA and one hour of bowling at the Spare Room. Email me at carolineoncrack[at]gmail.com to RSVP for the event or to sign up for a tournament; remember to specify which tournament you want to participate in. We have limited spaces so RSVP asap! I’ll put your name on the list and you pay at the door. For the non-“athletic-types,” it’s $15 just to get into the event and partake of the passed appetizers and cocktail punches throughout the venue. You can also play the other board games like drunken Scrabble, drunken Jenga or drunken dominoes (just need to leave your credit card for insurance). A dj will keep you moving and chair dancing while cocktails from the Spare Room cocktail menu will be available for purchase if you require more than boozy punches. Might I recommend the Figgy Smalls with Bulleit bourbon, fig jam, egg white, lemon, bitters and thyme essence? Yessss. By the way a portion of door proceeds will go to TOTNLA as well as 10% of all liquor sales. Huzzah! Bonus is that the night’s participants also have the opportunity to purchase Taste of the Nation LA tickets ($100 each) at a discount: $25 off for bowlers and $15 off for gamers and general attendees. GIVEAWAY: I’m giving away a pair of general admission tickets to the event. To enter to win tickets to this fab event, do the following. Tweet: “I want tickets to the @TOTNLA Spare Room benefit, @carolineoncrack! http://is.gd/O731qh? I?ll randomly pick a winner via Random.org on Monday at noon and notify the winner via email. If I don?t hear from you by 2pm that Monday, I?ll draw another winner so check your email! Either case, hope to see you there! I’ll take Aden’s Mai Tai because it’s got the pick me up that gives me that extra accuracy. 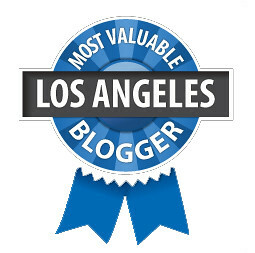 Definitely looking to hang our more in LA, your blog makes me hungry! I’d go with a Cuba Libre for that mix of buzzed and caffeinated uber focus that sports like darts and bowling demand 😉 Or maybe a Royal Fizz for some added protein power. the spicy margarita from las perlas in DTLA! I’m with Kaygrill on this one. White Russian’s and bowling. Call me old fashioned, but I’d go with an Old Fashioned. I tall sparkling raspberry mojito is my choice.